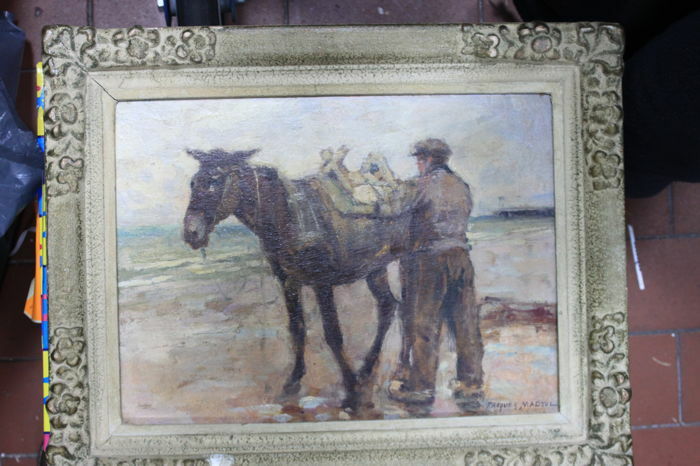 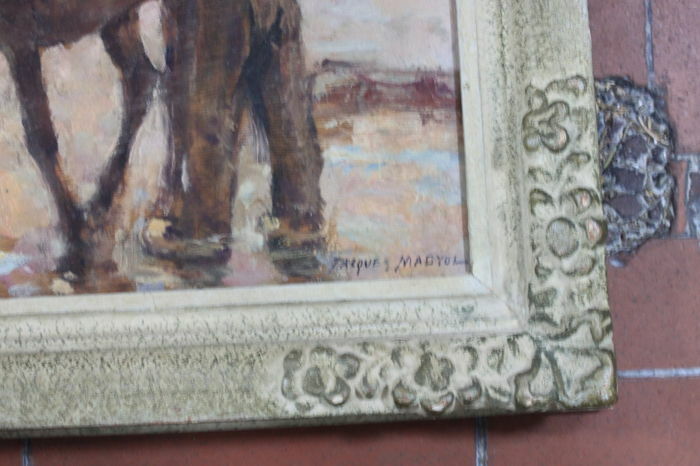 The painting is in good condition, in its original frame. 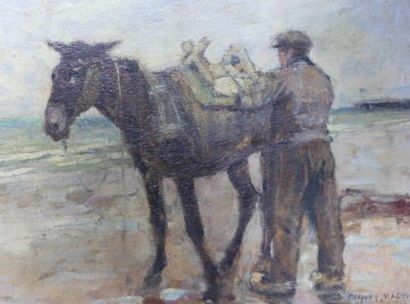 Jacques Madyol was a Belgian painter born in 1871 near Brussels, who travelled a lot, especially in the Mediterranean region and the South of France. 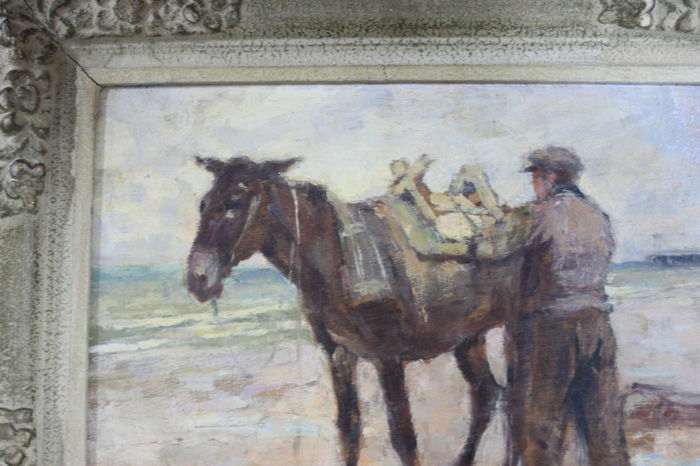 This is where he created this painting in 1895. 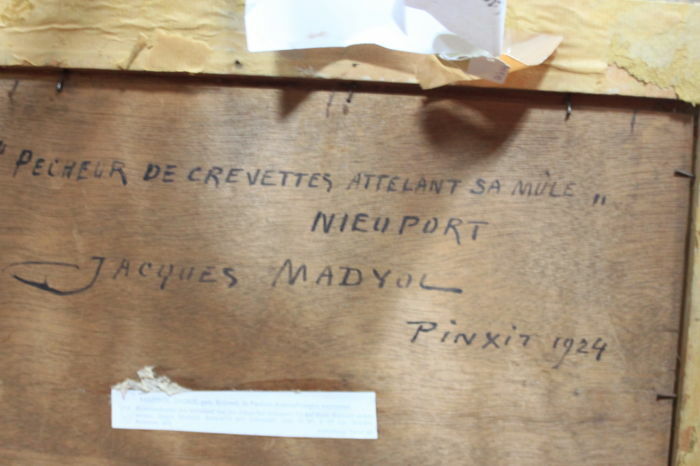 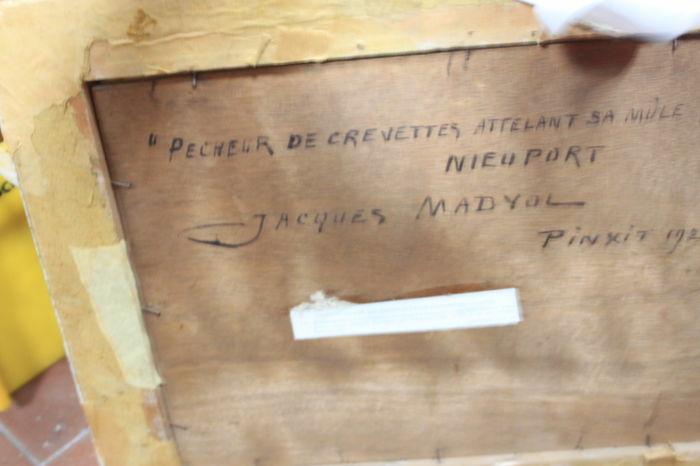 It is signed with "Jacques Madyol" and there is a note on the back of the wooden frame: "Jacques Madyol, pinxit 1924, Nieuport. 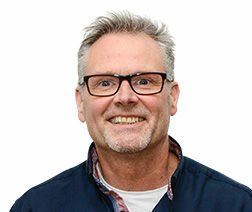 "Pecheur de crevettesattelant sa müle"
Puoi ritirare questo lotto direttamente presso il venditore: Hannover (NDS), Germania.